UBC offers a variety of products and services to assist merchants at the point-of-sale including authorization and processing services for credit cards, debit cards, EBT, prepaid and gift and loyalty cards. UBC has an expansive selection of credit card terminals, printers, pin-pads, online gateways and POS systems available for purchase or lease. In addition to credit card processing, UBC offers industry tailored services such as electronic age verification and check guarantee/conversion. Your retail store has a vast array of processing solutions to choose from. 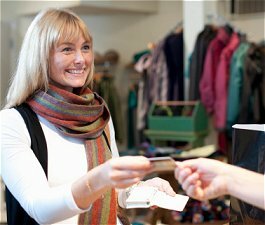 The POS Terminal offers an affordable Point of Sale system with Retail Software tailored specifically for retail merchants. Or if you prefer a basic credit card terminal, we deploy the latest in transaction processing equipment to handle all your credit card, debit card, EBT, gift card, ATM and check acceptance business. UBC allows you to accept virtually every form of payment available. UBC is a registered transaction processor for Visa, MasterCard, Discover, American Express, Diners Club and JCB credit cards. UBC is certified to process payment transactions on virtually every point-of-sale (POS) register, software or credit card terminal system on the market. UBC is a full service processor providing all of our merchant account clients with in-house 24/7 customer service and technical support. Although we provide a wealth of standard credit card processing services, we also have a variety of customized solutions to fit any business requirement. If you are offered a lower rate from any authorized merchant services provider, call or email us. 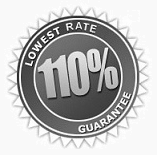 We'll match any verifiable offered rate. OR simply fill out this form and start accepting credit cards today! Copyright 2019 UBC, UBC Payment Solutions, Inc.